Nowadays smartphones are more than just for calling and texting, they play a huge part in ecommerce. Considering the operating system of Android, some very interesting Apps have been developed that aid you while going for shopping. Those of you who don’t want to waste their precious time in shopping malls, Android provides them with perfect Apps for shopping. I would heavily recommend using these Apps in your Smartphone. Perhaps the most popular shopping website in today’s world is eBay. It provides the wide range of items from electronics to clothing. The APP provides you with the searching option and hence you can easily find your desired items. You can compare prices and specifications. The images of products from various angles are provided that helps analyzing the product before buying. You are provided with the option to add the items to your chart and buy them. 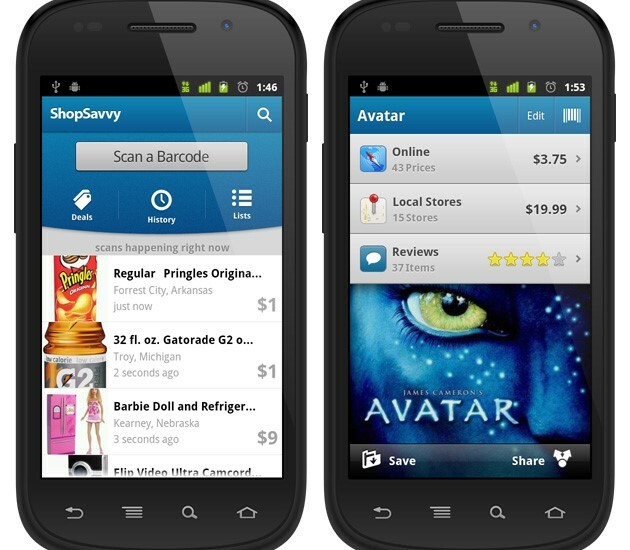 This App provides great convenience to search for desired items in store, compare their prices and take their snapshots. The availability of the product in the market is also visible. 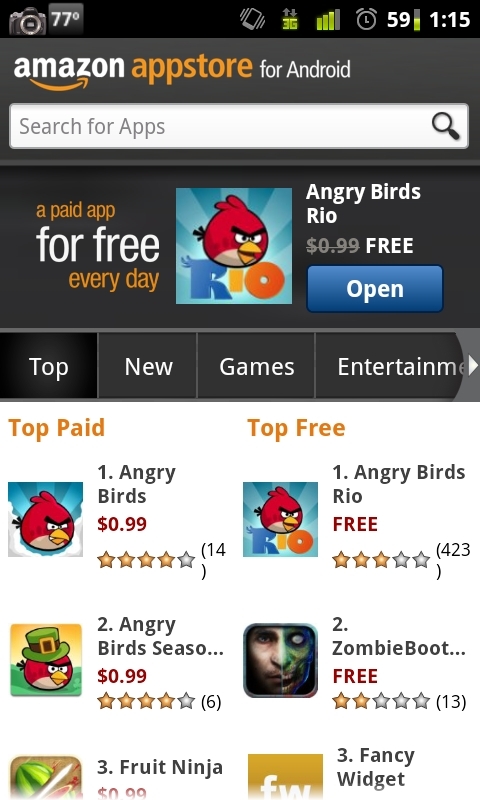 This App is free for worldwide users for shopping. 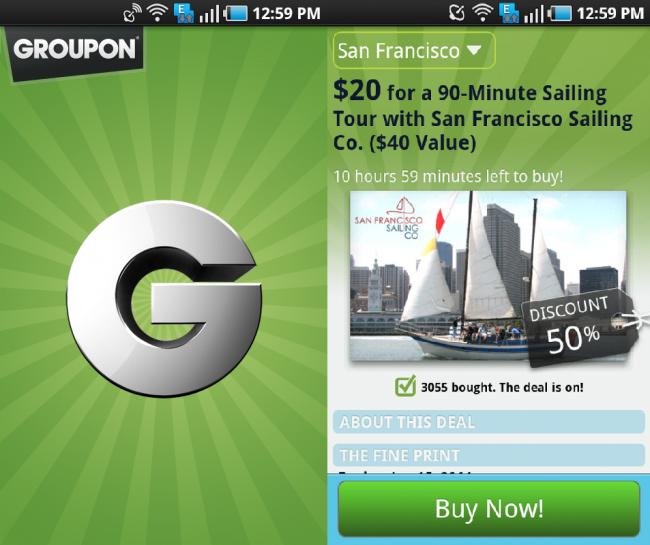 Google play store provides this wonderful App that gives you the precious information about the discounted offers. You just sit back and get amazed at this App which searches for wonderful discount offers in shops from 50% to 90% on items of dining, spa and fitness. This App is completely free for all users. This cool App lets you compare the price of certain items on online shops with similar things nearby your home or on other online stores. This is possible by scanning the bar code of the item with your camera and determining whether the deal is good or not. This App will let you know the price range in which the certain items lie so that you may have idea of cost when you go out for purchasing them from your nearby stores. This App is very much similar to eBay as it searches for plenty of items from millions of online stores. This App is totally free and you have the provision of setting up your own shop and see the response of your customers. 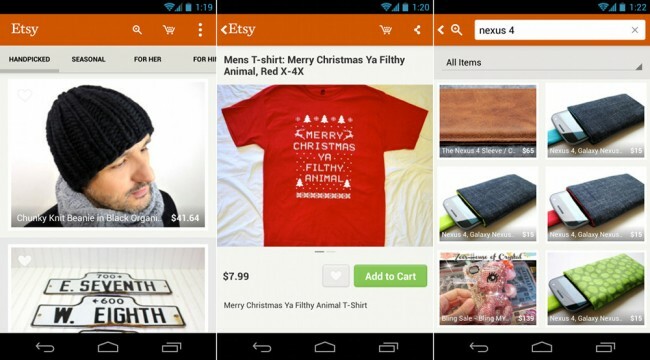 Shopping is no more a headache now with making of so many useful Android Apps. Now you can have best items at your home with online shopping Apps.